Cystine stone patients can be difficult to manage with frequent recurrences. We performed a systematic review with a view to assessing interventions, compliance and their long-term outcomes. Ten retrospective observational studies (253 patients) assessed the outcomes and long-term follow-up of cystine stone patients. The mean length of follow-up was 9.6 years (range 3.5–21.8 years). The overall mean number of surgical procedures/patient was 5.7 (range 2–9.8/patient) with the overall mean number of surgical procedures/patient/year at 0.59 (range 0.22–1.32/patient/year). While open surgery has decreased over the last decade and PCNL has been stable, there seems to be a rise of RIRS during this period. Patients with cystine stones need periodic interventions for stone recurrences despite medical management, with limited data showing the impact on renal function. While the management is individualised, wide variability exists with often poor and incomplete patient data. Sacha L Moore, Paul Cook, Vincent de Coninck, Etienne Xavier Keller, Olivier Traxer, Laurian Dragos, and Iqbal S Shergill each declare no potential conflicts of interest. 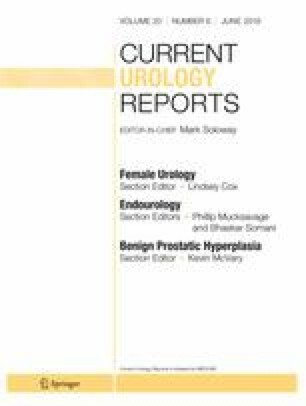 Bhaskar K Somani is a section editor for Current Urology Reports.